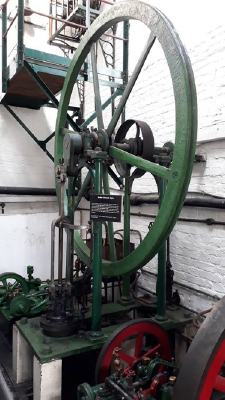 Built by Gardiner’s in Kent at around 1840, this early example of a rotative steam engine has a bore of 190mm (7.5 inches) and a stroke of 420mm (16.5 inches) and probably produced about 1.5kW (2hp). Sold second hand to Elmer’s Windmill, Woolpit, Suffolk in 1850, it was in service until the 1940s. 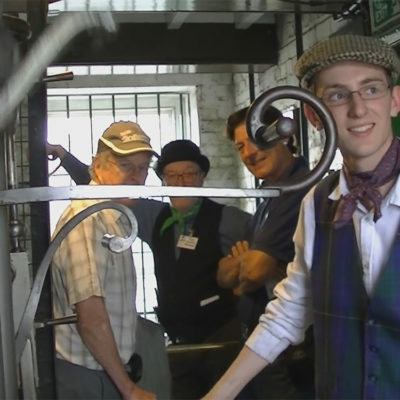 The original drive was by rope around the flywheel, but this was later converted to a flat belt. There is a boiler feed pump at the rear of the engine. 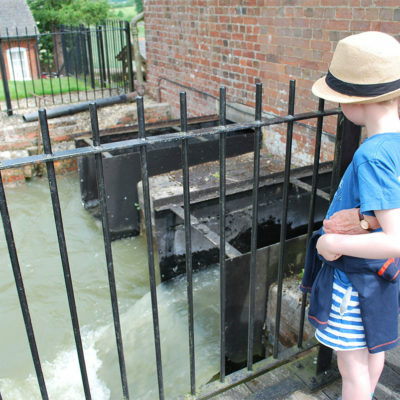 It was bought for Crofton Pumping Station by Mr R Corbett of Alresford in 1971. The Sunderland Forge Dynamo originally ran at the comparatively high speed of 300 rpm and produced 110 volts DC at 5kW (45 amps). 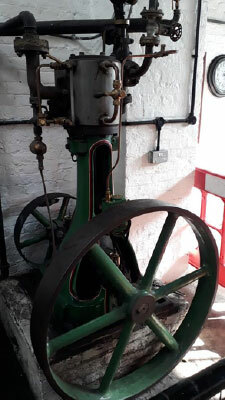 This engine was made by Thomas Horn of Westminster in about 1870 to drive an ‘exhauster’ in a gasworks. It has an 200mm (8 inch) bore cylinder and a stroke of 450mm (18 inches). In its original installation it developed about 7.7kw (10hp) at 120 rpm. The use of an oscillating cylinder avoided the need for a knuckle joint and cross head in the connecting rod and thus permitted the overall height of the engine to be reduced. 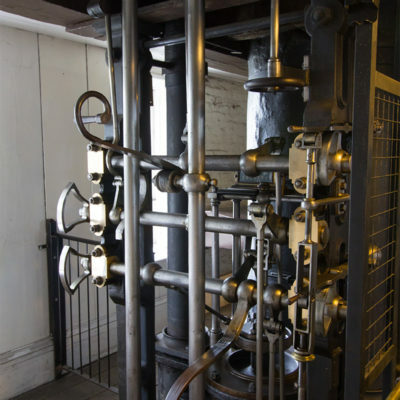 Oscillating cylinder engines, either with the cylinder above the crankshaft as in this one, or below it, were often used in the early days to power ships and the SS Great Britain, now at rest in Bristol, was thus powered. 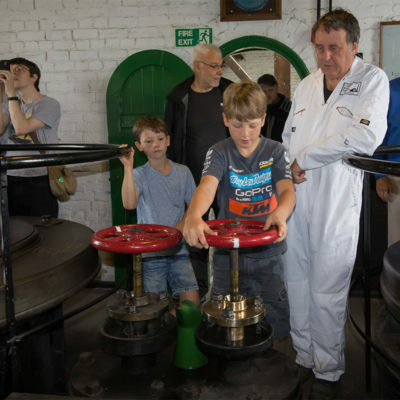 This engine was formerly on loan from the Science Museum, South Kensington, until July 2018 when the Science Museum Trustees generously donated it to Crofton. This steam powered generating set dates from about 1924. 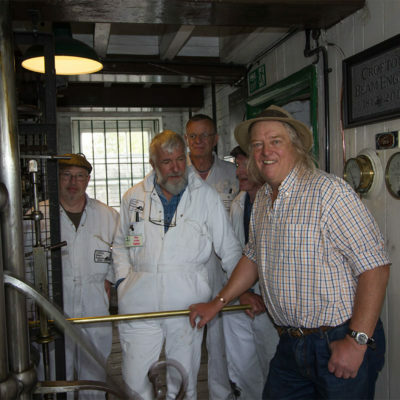 It was made to provide electricity for lighting and power on board a trawler. It originally ran at the comparatively high speed of 300 rpm and produced 110 volts DC at 5kW (45 amps). 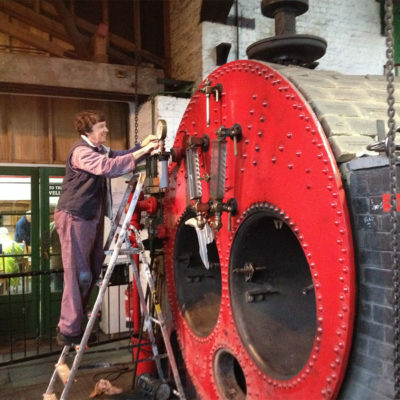 It was rescued from a shipbreakers and donated to Crofton Pumping Station by Dr A Twort. 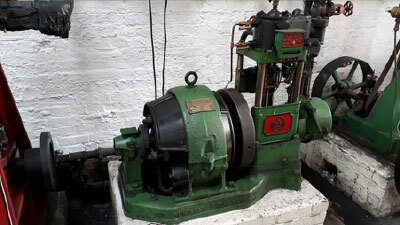 Marshal’s are better known as the builders of traction engines, but they also made stationary engines to drive line shafting in small factories and provide auxiliary power for coal hoists etc. 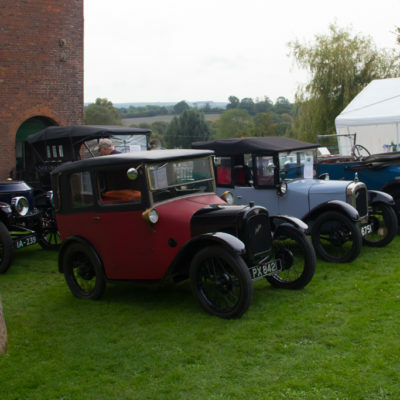 This particular example came from a hospital laundry and originally delivered about 5hp (4kW). 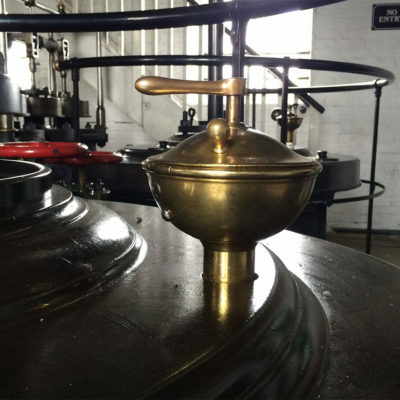 Its speed is controlled by the three-ball device adjacent to the steam pressure gauge which is known as a Pickering Governor after its inventor. 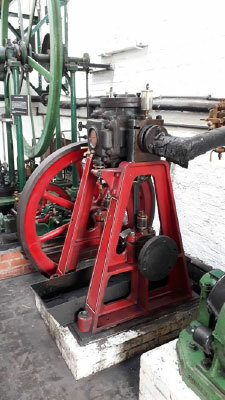 The design of this engine is said to be ‘inverted’ because, like the Gardiner engine also in the Boiler House, the very early steam engines had the crankshaft above the steam cylinder and, in comparison, this one is upside down. 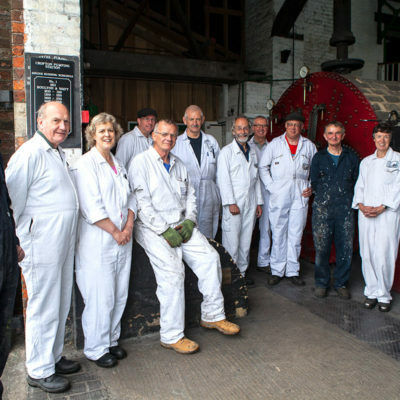 The engine was donated to Crofton Pumping Station by Dr A Twort. 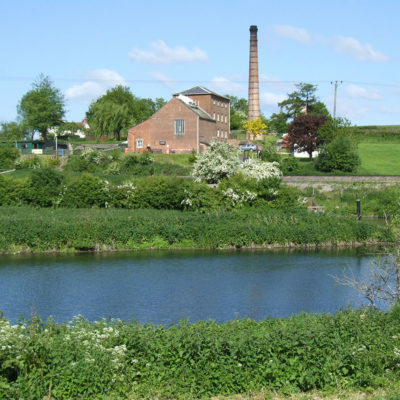 Greens Economisers Limited continues in business to this day in Wakefield and is the market technology leader in the specification, design, fabrication, installation and support of economisers, waste heat boilers, land and marine boilers, steam air heaters and other pressure parts. 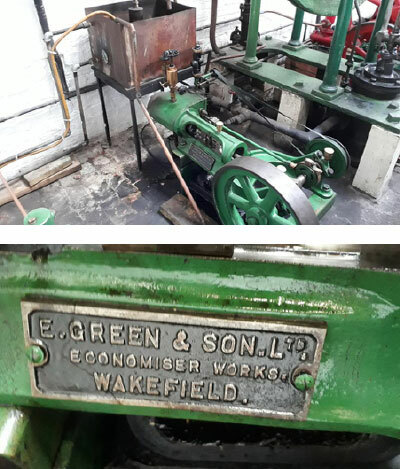 Greens of Wakefield made a range of devices called ‘Economisers’ which recovered waste heat from the exhaust gases of stationary boilers and thus improved their efficiency. 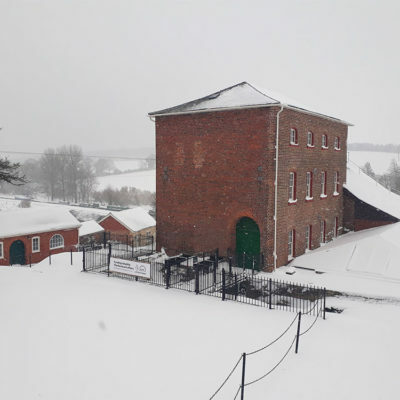 In essence the Green’s Economiser consisted of a metal box attached to the rear of the boiler through which the flue gasses passed before going to the chimney. Inside this box was a series of vertical water tubes which carried the boiler feed water, which was warmed by the flue gasses thus recovering some of the waste heat from them. Cylindrical scrapers were fitted around the water tubes to prevent accumulations of soot which otherwise would have reduced heat transfer efficiency. These scrapers were moved up and down by mechanically driven chains. 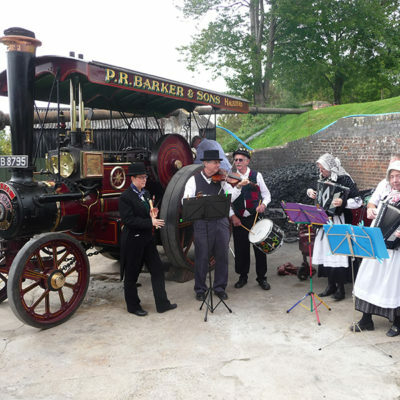 Originally the driving force for the latter was a steam engine, and this engine is one of them. It probably dates from the 1900s. Greens Economisers Limited greenspower.co.uk continues in business to this day in Wakefield and is the market technology leader in the specification, design, fabrication, installation and support of economisers, waste heat boilers, land and marine boilers, steam air heaters and other pressure parts.